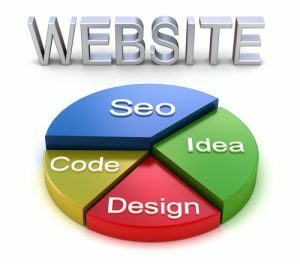 Having the right SEO web design in place is the cornerstone of a successful online marketing campaign. Optimized, engaging content that runs visitors through the sales funnel and converts them into customers is the goal, but it sounds easier than it usually is. Carefully going through the four steps of web design – planning, design, development, and management – is the best way to ensure a positive outcome for your Internet marketing plan. Planning ahead before taking action is crucial to understanding the expected outcomes of your small business web design project. It’s important that your web designer thoroughly comprehends what your business is all about, and how you wish to communicate with your visitors and customers. Good research and consulting skills come into play as the designer begins to lay out the foundation for your web design. The design phase is all about taking that mass of information and deciding how to present it, both visually and verbally. Branding your company in a way that customers will respond to is important for maximizing leads and conversions. Your website is your constant, ultimate representation of that branding. This is also the part of the project where the visitor’s experience on your website has to be planned and idealized. Developing all of this information into a functional website is the third step toward the right SEO web design. This phase is when the website begins to take shape via technology and software. A content management system is adopted, the framework is built, and the look and feel of the website begin to take shape. Various bells and whistles may be added to optimize the user experience and enhance the website’s performance. Attention to carefully researched keywords, meta tags, and rich content is crucial for ranking your small business website at the top of Google. Secondly, make certain your site is lightening fast with a hosting plan like SiteGround’s Go Geek Plan. Mobile responsiveness and an SEO friendly framework like Genesis, will be extremely beneficial in ranking your site at the top of Google’s search results. At this point, your website is fully functional and online…now what happens? This stage is the ongoing management phase. Creating search engine optimized content must become a regular part of your schedule. Social media marketing, drip email campaigns, and other online advertising methods will consume a portion of your time from here on out. You have to continually update your website with fresh content, and find new ways to drive traffic to your website. This job doesn’t end until your business closes. Do you feel overwhelmed yet? There are a multitude of tasks involved in each step that we haven’t even touched on. Some of these elements may not apply to the goals of your website. But, you get the overall picture – a lot of time, effort, and consideration are required when you’re developing a decent website. All of that hard work will pay off big time when you find just the right formula for selling your product to your ideal clients. The process can become far more profitable when you hire a pro to handle it for you. An experienced web design guru can help you do the research and planning necessary to make your website your full-time sales person. To get started with the right SEO web design for your business, call 770.580.3736 today.